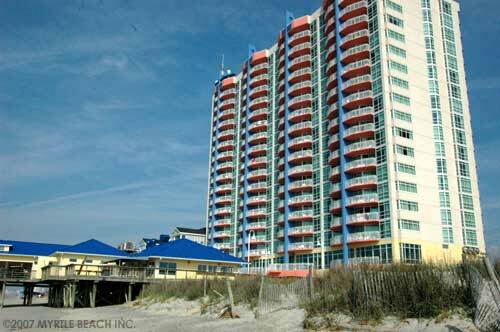 The Prince Resort in Cherry Grove is an exciting new resort surrounding and adjacent to one of the most famous Cherry Grove landmarks: the Cherry Grove Pier. Prince Resort embraces the most plush amenities in one of the most desirable oceanview locations in North Myrtle Beach, South Carolina. Visitors returning to Cherry Grove last summer may have noticed that the Driftwood Restaurant at the Cherry Grove Pier was temporarily closed, but rest assured, it's back open and under new management, so oceanfront dining at the Cherry Grove Pier will still be a great experience vacationing families and locals will be able to enjoy regularly. The Prince Resort now has 160 luxury two, three, and four-room oceanfront and ocean view suites available for your vacation. Rooms feature satellite TVs, web access, coffemakers, refrigerators, and more. The resort has a business center to allow for conventions and meetings, indoor and outdoor pools, fitness center, and free access to the pier. 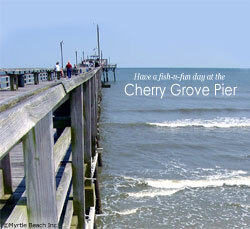 Check availability at the Prince Resort for your next visit to beautiful Cherry Grove in North Myrtle Beach. Website by Myrtle Beach Inc. Copyright ©1999-2018. Reproduction prohibited.